If candy-making intimidates you, this is the perfect recipe for you to try. You don't even need your stove, no thermometers are involved, you barely need a pan. 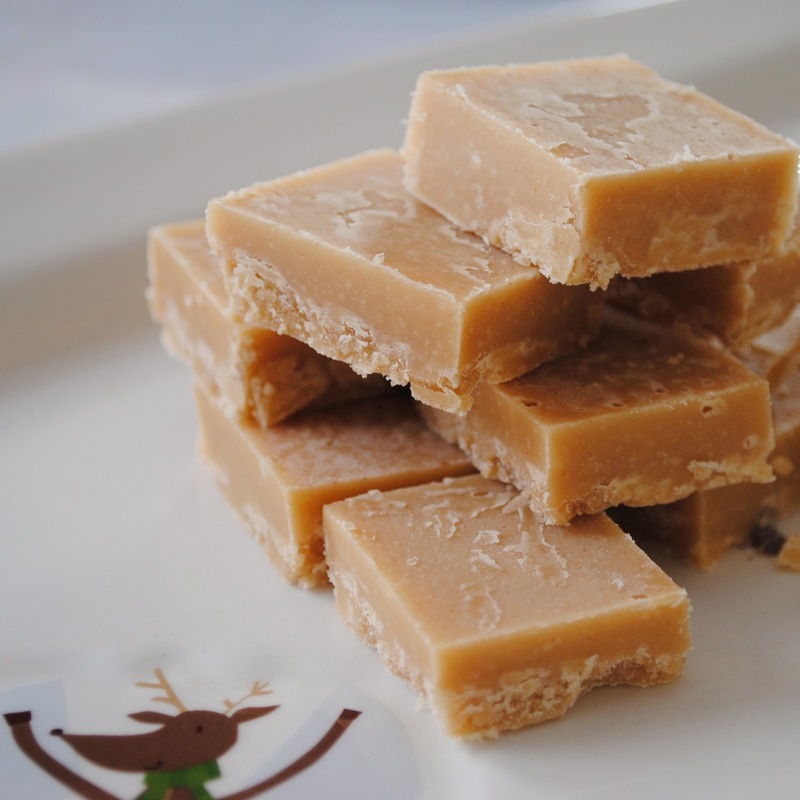 This fudge can be made completely in the microwave and only takes about five minutes. It's a perfect recipe to round out your holiday baking when you are short on time. Prepare a pan by covering it in wax paper and spraying with nonstick cooking spray, leaving at least one inch overhang of wax paper around all edges. You can use an 8x11" baking sheet with a one inch rim or an 8x8" square pan if you want thicker fudge. In a microwave safe bowl, combine butter and peanut butter. Microwave on high two minutes, stir and microwave two additional minutes. Stir in vanilla and powdered sugar. Mix with a wooden spoon until well combined and smooth. Pour into prepared pan, smooth, and cover with another sheet of wax paper pressed directly against the surface of the fudge. Refrigerate at least two hours and cut into one inch squares. Oh awesome, this helps free up the oven so you can bake more. Nice. MMMMMMMMMMM...I think I can do this!! Thanks for the great idea!